Today was Prinsjesdag, the annual occasion on which the King (or, formerly, Queen) travels through the inner city of The Hague – from Noordeinde Palace to the Binnenhof – to hold his speech before parliament, and open their session. You might think he’d just take his bicycle cause it’s not far or anything, but oh no this is a King!, so this is a serious and big occasion: He and his wife travel in the Gouden Koets (golden carriage) in this whole procession of men in big hats and funny costumes and drums and trumpets and very many horses, while mostly quietly happy people (some of whom dressed in orange) line the streets and gun salutes are being fired far away over the Malieveld. Good times. Dutch-style organized fandom. 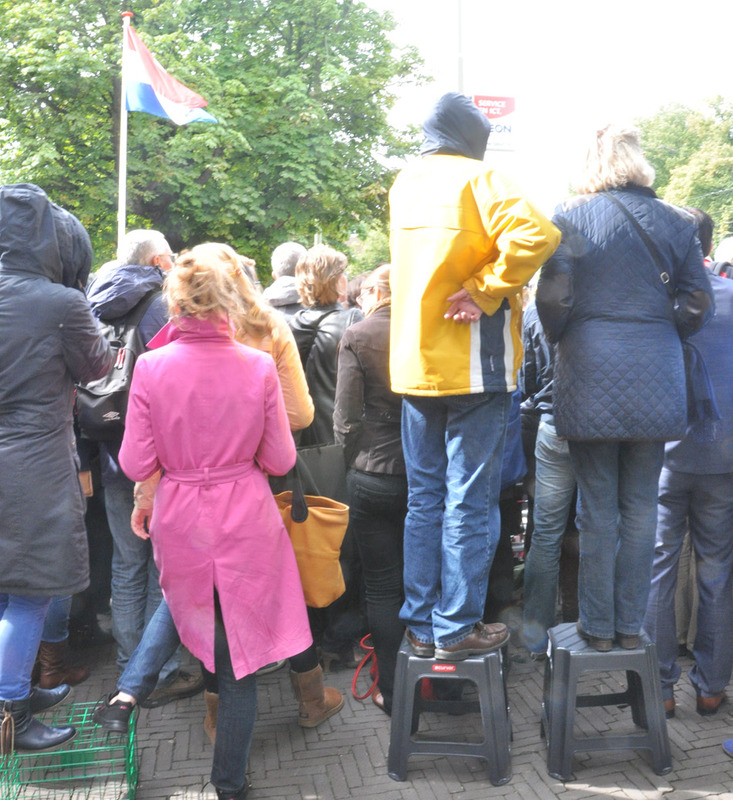 Bring your own stepladder.